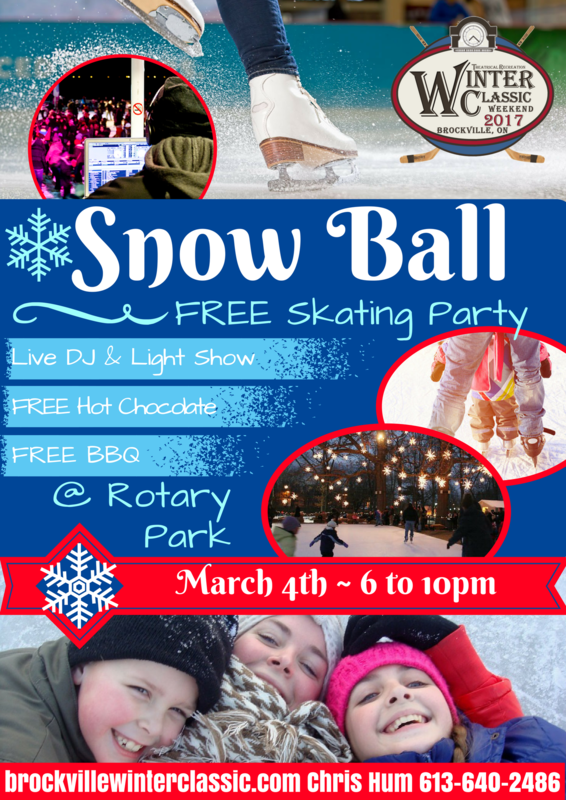 The Brockville Winter Classic Weekend Committee is thrilled to announce the return of the Snow Ball! This FREE ADMISSION after-dark skating party offers FREE hot chocolate, hot dogs, a live DJ, light display, family fun activities and much much more! The 2017 Snow Ball is family-friendly & open to everyone! Please invite your friends!